The return of the long-lost ten tribes, a new Jerusalem being built, heavenly messengers from beyond this life.... It may sound like fantasy, but according to the scriptures, all of these things will really come to pass before our Savior comes again. In fact, these signs were designed by the Lord to alert true believers to his imminent return. The question is, Will you recognize the signs? 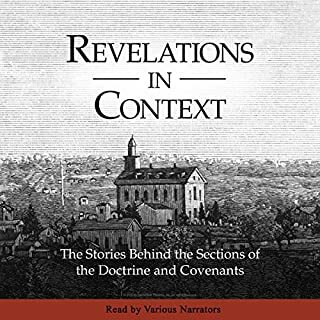 This book contains stories told from the point of view of those who experienced the revelations in the Doctrine and Covenants, giving us insight into their meaning. While the section headings provide context for the revelations, they don't tell the complete story. What questions prompted the revelations? What did the Lord's responses mean to those He addressed? How did they respond? Perfect for study with the Doctrine and Covenants. 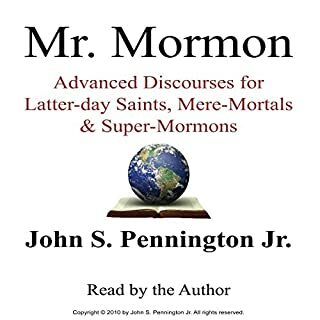 By: Mr. John S. Pennington Jr.
Narrated by: John S. Pennington Jr.
Mr. Mormon can take a normal LDS member and turn them into a Super-Mormon by using new ideas and discoveries from science, the cosmos, world history, and the scriptures. Mr. Mormon teaches about a supernova that was recorded by Chinese astronomers at the time of the birth of Jesus. It discovers that Joseph Smith taught the theory of time relativity over a half of a century before Albert Einstein. As the world anticipates its end, we Latter-Day Saints are preparing to build the city of Zion. With so much emphasis on building Zion physically on earth, we sometimes forget the best place to build Zion is within our own hearts. 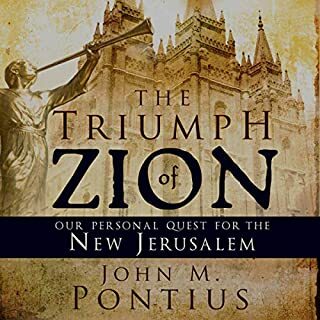 John Pontius carefully details the importance of Zion in our own lives, opening our eyes to our oft-overlooked obligations and vast privileges. The Book of Mormon is a religious record of three groups of people who migrated from the Old World to the American continents. These groups were led by prophets who recorded their religious and secular histories on metal plates. The Book of Mormon records the visit of Jesus Christ to people in the Americas following his resurrection. A 200-year era of peace followed that visit of Christ. Latter-day Saints have a unique insight into the real meaning of the atonement of Jesus Christ, thanks to The Book of Mormon. When doctors gave him six months to live, John Pontius (author of Visions of Glory) created a blog to leave his testimony with his children. However, thousands of followers of UnBlog My Soul were touched. Share in the journey as Pontius expresses his love and understanding of the gospel in a clear, beautiful way. This audiobook compiles the most compelling blog entries and weaves the narrative of his journey to the veil. Prophecy and Modern Times is a delightfully arranged collection of prophecies from both ancient and modern prophets. A foreword by President Ezra Taft Benson sets the stage. Learn how to interpret and understand prophecy. Learn its purpose in your own life. 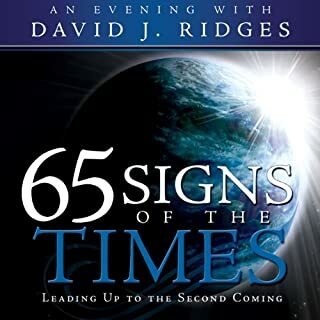 Next, read about prophecies concerning America and Palestine, and see how those ancient men foresaw events that we are living through right now. 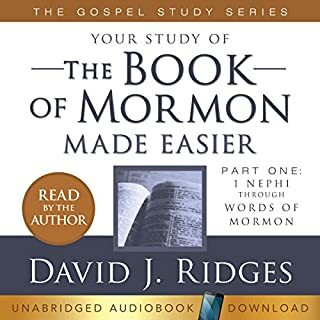 This classic of Mormon literature is based on a series of theological lectures by Talmage, which were created for use in religious education. James E. Talmage was an English chemist and geologist, who moved to the United States and became a prominent figure in the Church of Jesus Christ of Latter-Day Saints. This book provides commentary and doctrinal references for each of Joseph Smith's Thirteen Articles of Faith that form the core beliefs of the LDS Church. John M. Pontius brings to light simple ways to recognize and implement personal revelation in your life. Inside you'll find the grand keys that will help make receiving daily guidance, answers to prayers, and much more, accessible to everyone. With this book at your side, you'll be better prepared to prosper along your life's journey and accomplish the work the Lord has planned for you. For humble followers of Christ. This special audiobook edition of the Lectures on Faith from Zion's Camp Books has been prepared especially with you in mind. It is narrated as a book, rather than with chapter and verse numbers as in the print edition. This will give you the greatest enjoyment as you listen to the words of the prophets and learn about faith. Narration isn't bad at all! Al Fox Carraway has spent the last four years inspiring the world with her story of conversion, redemption, and finding faith. As a blogger, social media personality, and award-winning public speaker, her message has reached millions. 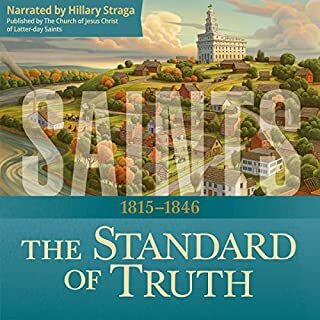 This moving biography and up-close account of her life and membership in The Church of Jesus Christ of Latter-day Saints (sometimes called the "LDS" or "Mormon" church) will show you what it means to truly trust in the Lord. On April 7, 1844, Joseph Smith gave a sermon in Nauvoo, Illinois, to nearly 20,000 church members. A few weeks earlier, a church member and close friend of Joseph named King Follett was killed in an accident. This well-known event in Nauvoo led Joseph Smith to comment specifically on Follett’s death and to address what Joseph called “[T]he subject of the dead”. In an era when Christmas is often portrayed as little more than a celebration of consumerism, many Christians are searching for a way to offer a deeper appreciation of the holiday to their children and family. New York Times Best Selling Author W. Cleon Skousen's The Real Story of Christmas reconnects the reader with what Christmas is supposed to be about: peace, goodwill, and the story of Jesus Christ. Skousen breathes new life into the Nativity story, with ample political and historical context. In our busy world, we sometimes find our scripture study isn't always productive. The solution is here with The Book of Mormon Made Easier! 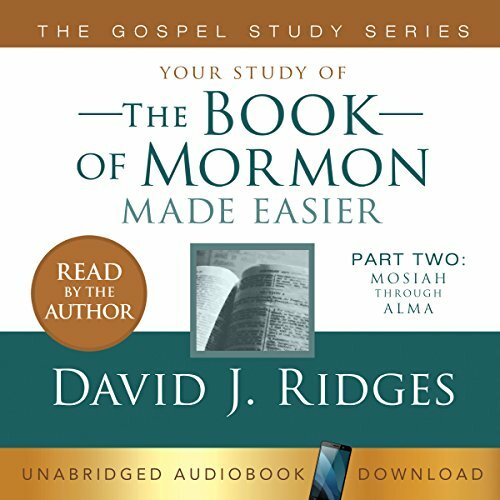 Along with the complete text of the Book of Mormon, this valuable study guide includes additional insights and commentary. A perfect study companion! ©2007 Cedar Fort, Inc. (P)2017 Cedar Fort, Inc. This book is life changing. I love that there is now a great way to listen to the Scriptures while doing gardening, exercising, driving, etc. I’ve listened to many commentaries for the Bible, but this is the only one I have found for the book of Mormon. It’s awesome. The commentary is fantastic-good sound doctrine and is not prone to speculation. Way to go Cedar Fort and David Ridges. Thank you for changing my life! A great way to study and learn. Loved your insight. When will volume 3 be available? Easy to understand very enjoyable to listen to. Listening to this book every morning makes my whole day go better. It just puts life in perspective. David Ridges does such an amazing job of cross referencing, so you understand better and have better retention. I would recommend this for anyone wanting more purpose in their life and a deeper understanding of spirituality. I more than loved this audible book, but it's not complete. Are there plans to have the last part of the book available? Brother Ridges did a fantastic job, but a better microphone is needed for his recordings. I love that he takes the message to one that I can understand. I get all of his books.